• Something fishy about sustainable fish, chef? As a nation the UK is eating more fish than ever before. That is, potentially, a boon for health, but there are problems too. Much of our fish is being caught by destructive methods which are devastating populations of wild fish. What is more, our oceans are a mire of pollutants, many of which accumulate in the flesh and fat of large wild fish like salmon. The answer according to some is to eat more farmed fish – but is this really the ‘sustainable’ option? Recently top chefs in British Columbia (BC), concerned with the wellbeing of wild salmon, have come together to appeal to the provincial government to stop open-net farmed salmon in the in the Broughton Archipelago. An open letter signed by more than 50 chefs has called for the BC government to take action to protect wild salmon. But that’s only a problems in British Columbia, right? Wrong. In fact it is a global problem. Sea lice are parasites that attach themselves to salmon and feed on them, killing or rendering them unsuitable for dinner tables. They infest salmon farms on the coasts of the US, Canada, Scotland, Norway and Chile. The problem with lice was recognised as far back as 1994, when fish farmers began feeding their fish a pesticide, emamectin, to control these parasites. By 2009 the lice appeared to become resistant to the pesticide, and they have since spread globally at an alarming rate. Last year a report by Salmon and Trout Conservation Scotland showed that on salmon farms in Scotland, sea lice numbers are running out of control and that failures by individual farms to address the problem are contributing to the global decline in salmon stocks. Farmed salmon – both those bred in the ocean and in open land-based operations – are also routinely treated with pesticides and antibiotics to fight the diseases intensively reared animals are prone to. Not surprising, then, that a freedom of information request of the Scottish government in early 2017 revealed that 45 lochs had been badly polluted by the antibiotics (including oxytetracycline, amoxicillin and others) and pesticides used to control problems such as lice. While fish farmers say this is not a health risk to humans, eating fish fed on pesticides and antibiotics should give most of us pause. What is certain is that the presence of these chemicals in the environment contributes to the rise in resistant bacteria in humans. That means that when we need them most, the drugs won’t work. Apart from lice, the fish themselves suffer terribly from these intensive livestock conditions. Salmon are large fish born to roam widely in the oceans; penning them up causes distress and disease. According to the farm animal charity Compassion in World Farming salmon, while around 75cm long, can be given the space equivalent of just a bathtub of water each. Instead, of roaming free they swim in circles around their pens and tanks, rubbing against the mesh and each other. Overcrowded fish are more susceptible to disease and suffer more stress, aggression and physical injuries such as fin damage. Along with lack of space, overcrowding can also lead to poor water quality, so the fish have less oxygen to breathe. Changing the fish instead of the farm? The most recent wriggle in the salmon saga is the AquaAdvantage salmon, genetically engineered from the DNA of three different animals: Atlantic salmon, deep water ocean eelpout, and Pacific Chinook salmon. It has recently gone on sale in Canada and is soon to be sold in the US. Its claim to fame is that it grows twice as fast as natural salmon. But does faster growth address the web of issues around sustainability? The company that engineers the fish says that its land based tanks remove the possibility of sea lice. But the confined space of a tank is not well-suited for full grow-out of Atlantic salmon, which in the wild can grow to 26 kg. Thus even if it is fast growing, the fish could struggle to reach acceptable market size. 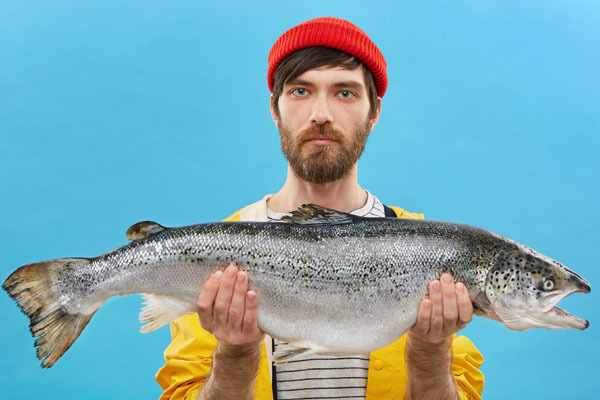 There are potential human health implications – the fish have been found to have higher levels of potential allergens and carcinogens; and religious objections – eel DNA means the fish cannot be certified kosher. There are also animal welfare issues. For instance, even if they aren’t prone to sea lice, data show that these transgenic salmon suffer high rates of malformations and health problems, such as jaw erosions and inflammation and higher mortality rates. Regulators have ignored all of this and, encouraged by the lack of challenge from regulatory authorities, AquaBounty is pushing ahead with developing genetically modified (GMO) trout and tilapia which are also designed to grow faster than natural fish. At the end of 2017 it was reported that 4½ tons of the GMO salmon had been released into the Canadian food market. It was unlabelled, meaning that retailers, restaurants or food service operators had no way to confirm whether the fish they were buying and serving was GMO. Post Brexit the UK could be a new target market for these animals and other GMO animals. A universal truth – whether you are buying a used car or sourcing ‘sustainable’ food for a restaurant – is that if it sounds too good to be true, it probably is. Sustainability is a complex and thorny issue – and not just when it comes to fish. In our desire to do good – and to be seen to do good – we often fail to dig as deeply as we should into proposed solutions. We also often fail to use the tools at hand that can help us. The Marine Conservation Society, for instance, produces information and a handy app, The Good Fish Guide, which can inform fish choices even for food professionals. Chefs who already understand these issues are also a valuable resource. They can educate other professionals, speak out and engage politically – though this seems very rare in the UK. Chefs can also help educate the public and challenge unrealistic expectations of having salmon on the menu all year round. We desperately need to put issues like this – as well as so many others – on the menu, so please come and join us at the Sustainability Roundtable at H&C EXPO, July 17-18 at the Celtic Manor. 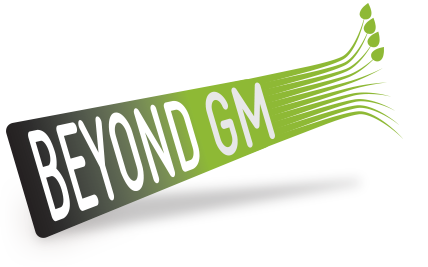 Pat Thomas is the director and co-founder of Beyond GM, who will be co-hosting the Sustainability Roundtable at H&C EXPO, July 17-18. This article first appeared in Hospitality & Catering News, the first in our series challenging chefs and others in food service to consider more deeply the many issues around sustainability. See also: What’s in a name? The battle for food authenticity, integrity and sustainability, Dead ends on the road to sustainability and Sustainability: Are you a leader or a follower?